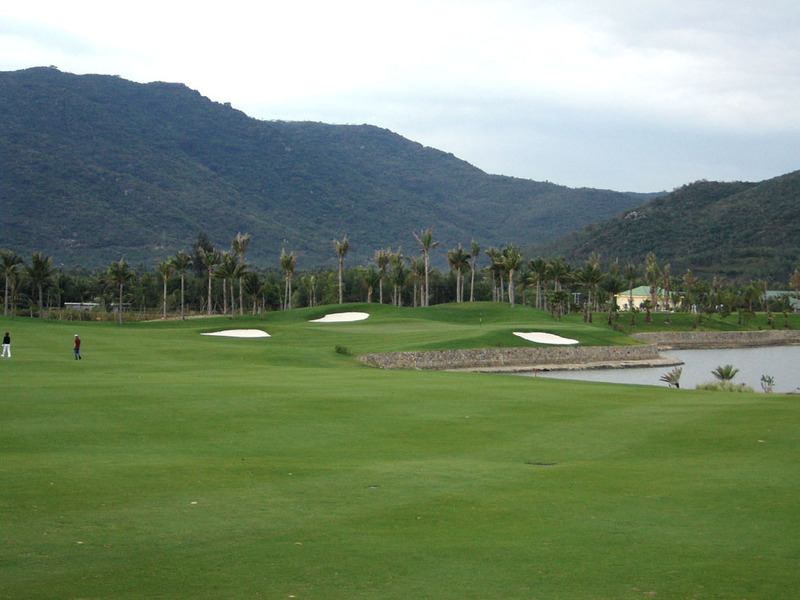 This is a hilly course near Sanya Resort and it boasts a very long 7835 yards par 73 layout. 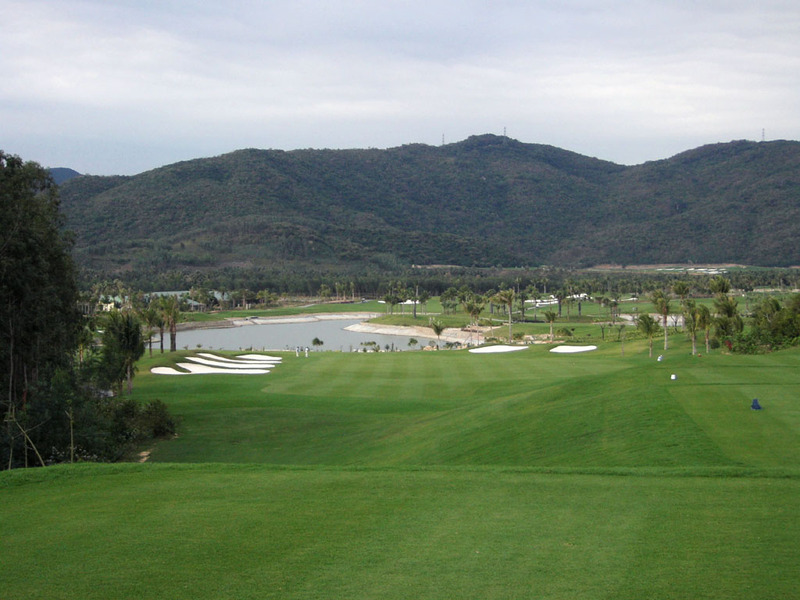 The fairways are quite generous allowing you to hit balls good and hard, so you won’t feel much difficulty in spite of the tremendous yardages. 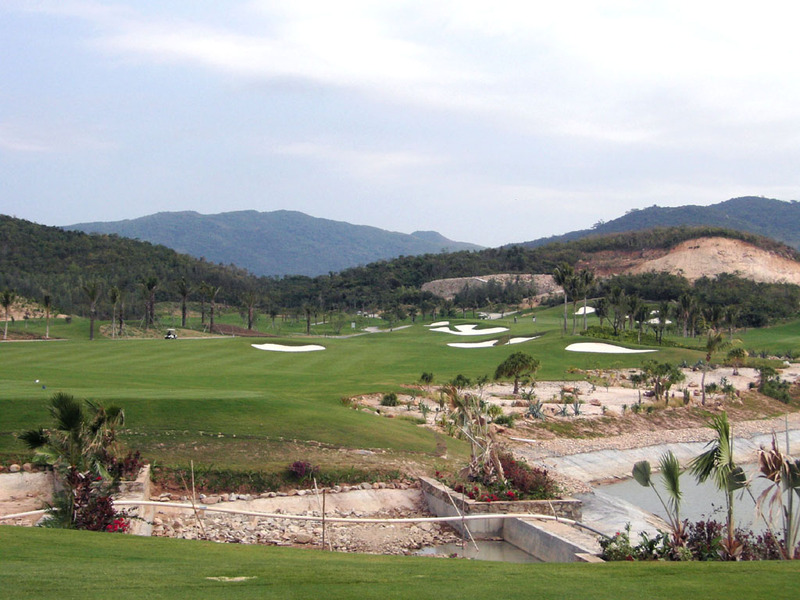 In windy conditions the difficulty level of the course increases. 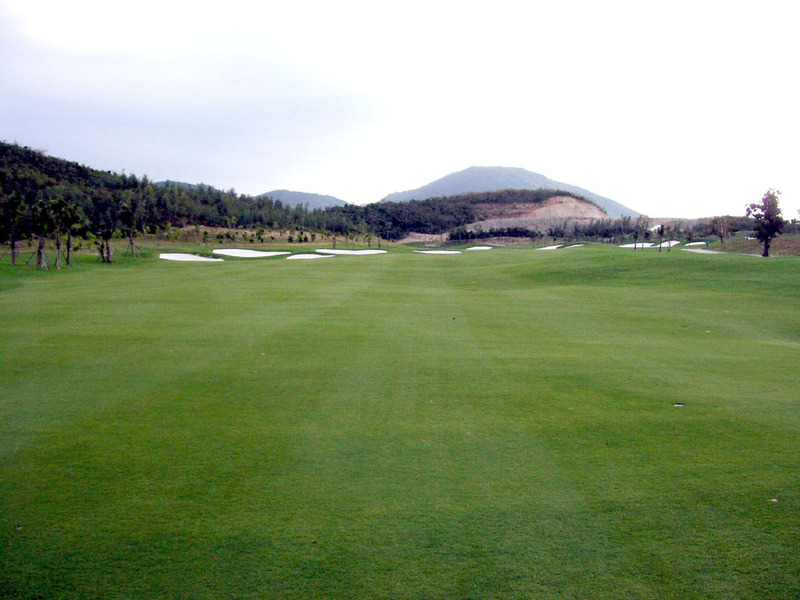 When I played, the course has just openedand in good shape. The greens are big and fast. 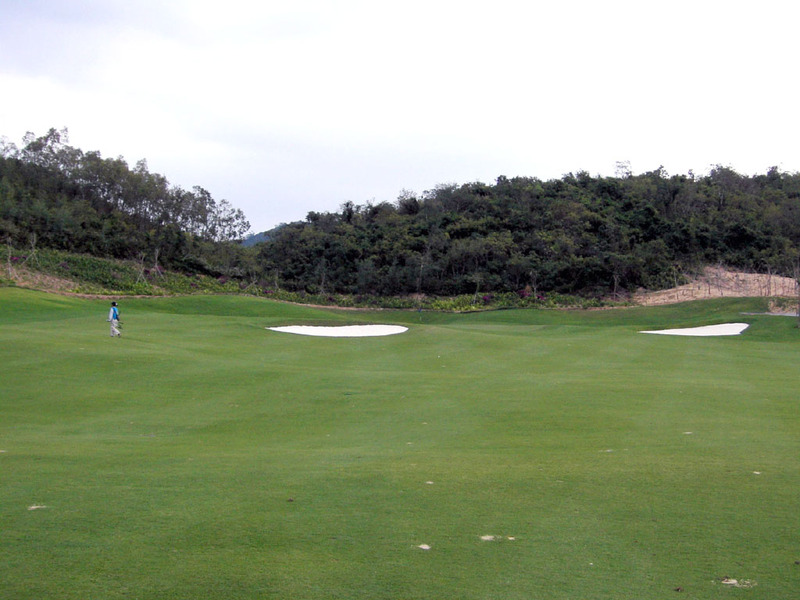 You can’t help noticing neat white sand bunkers across the course. 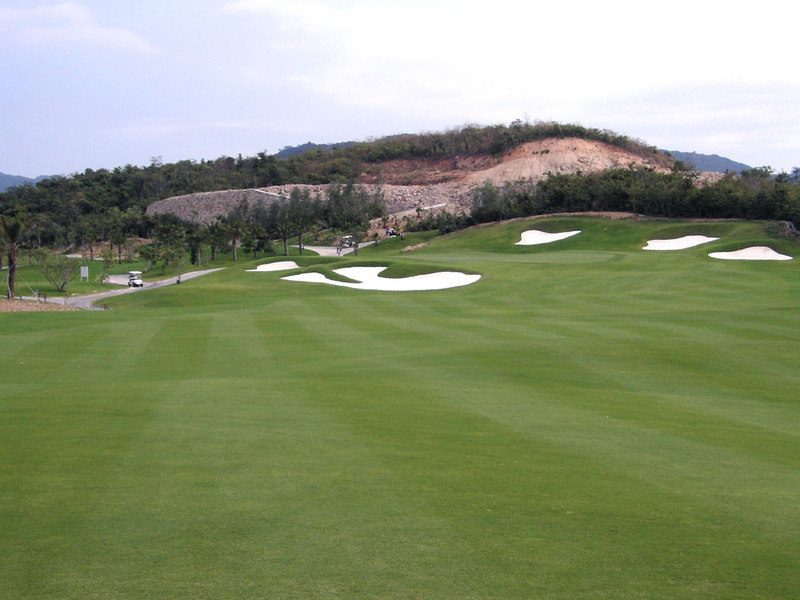 It features the first par-6 hole, the longest tee ground and the biggest green in China. 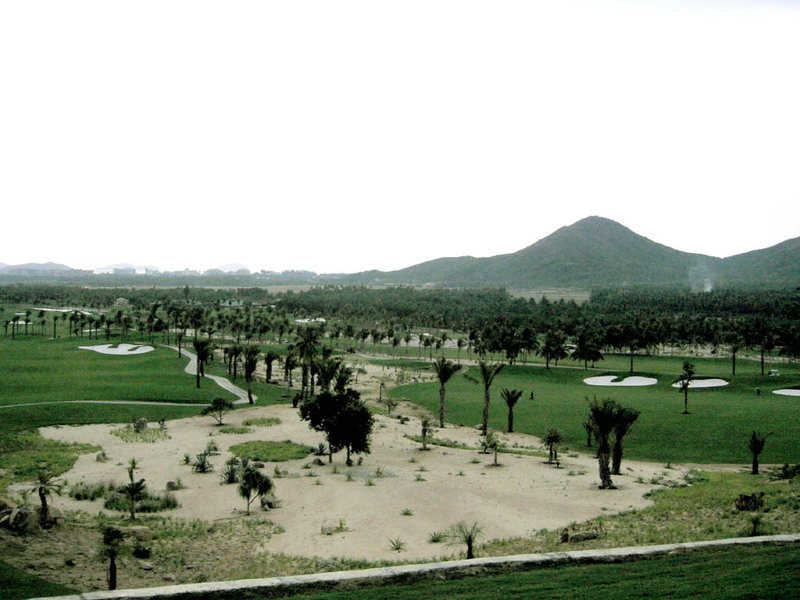 It also features several desert views in the course. A slight dogleg to the right with the green swung further to the right. The tee shot is sharply downhill. An accurate approach shot is needed as water protects the green on the front as well as on the right. A magnificent par3 over a lake. A tailwind usually blows on this hole, so the actual distance is much shorter. If you over club, a good shot will find a bunker at the back. 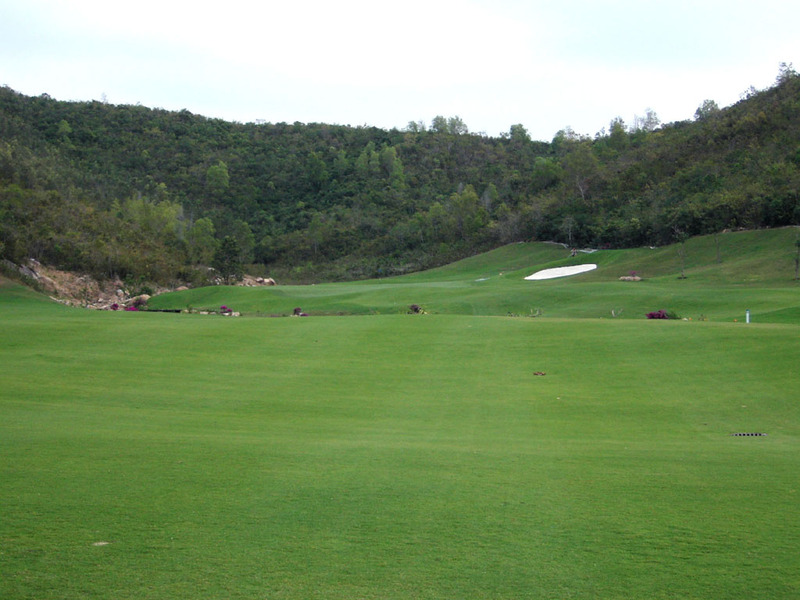 A long, “s” shaped par 5. 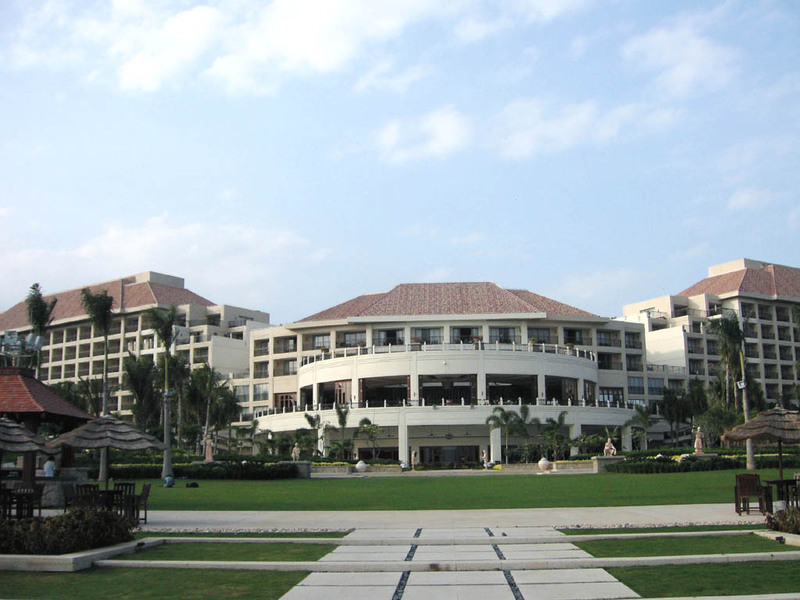 A carry of 230-yards is required over a lake. 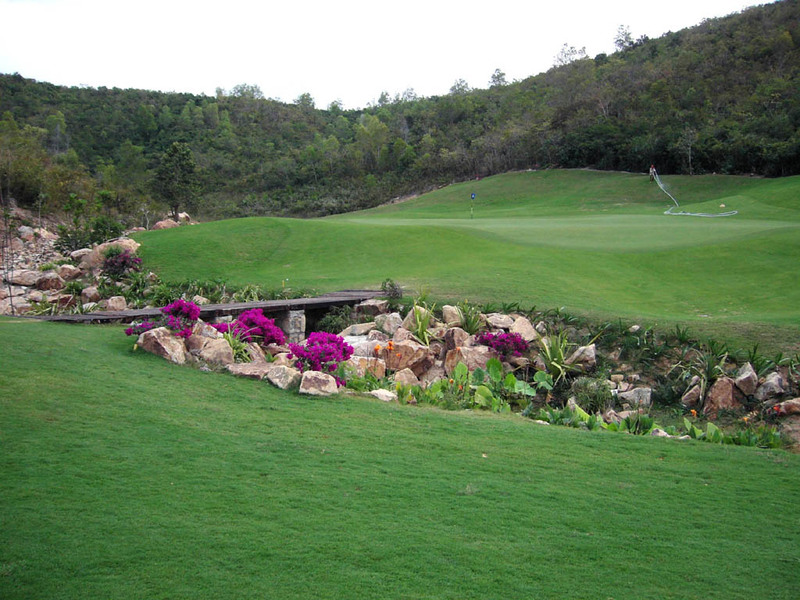 A layout of pretty bunkers, a natural lake ahead and the l mountain behind makes this hole very memorable from the tee. However, it is regrettable that the second shot is totally blind so you don’t know where to hit. The third shot is over a river and returns to the wonderful layout. An excellent par 4. 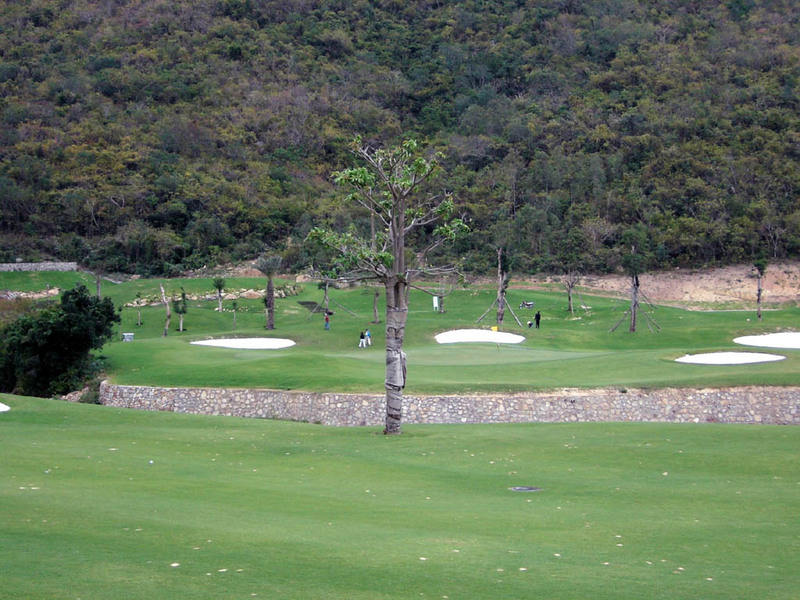 It is very difficult to par because the hole is slightly uphill with a head wind. The elevated green is beautiful and a big bunker guarding the front of the green comes into play. 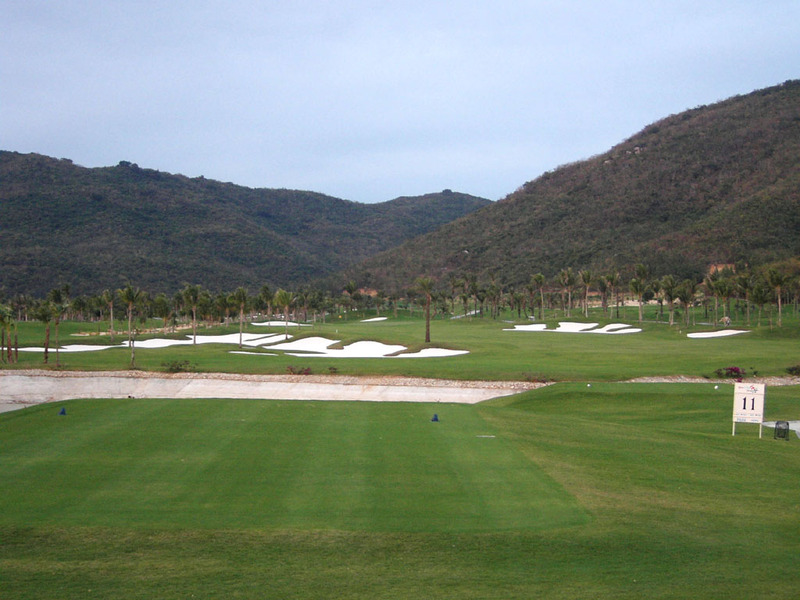 A series of white bunkers come into sight from the tee. 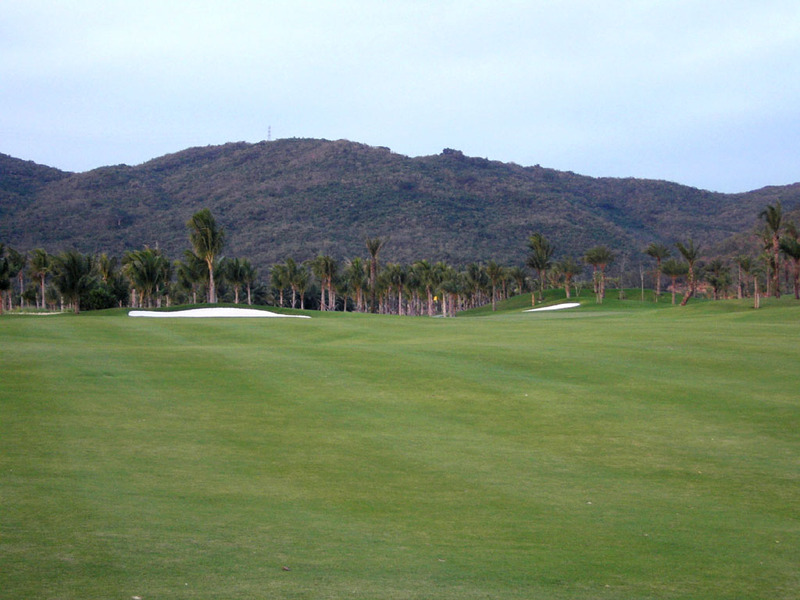 When you hit the second shot, you will like the view of a sequence of palm trees planted behind the green and a mountain stretching out backing the distance. 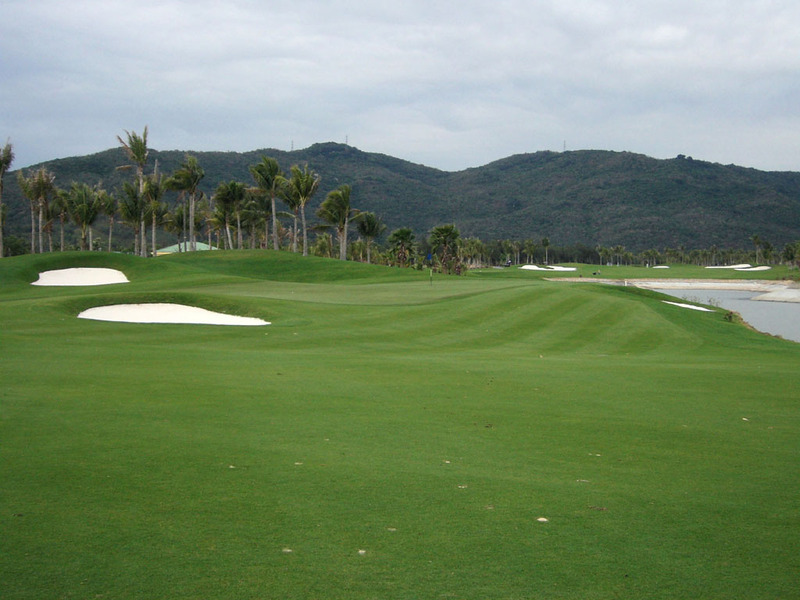 A carry of 220–230 yards is needed to clear bunkers on the right half of the fairway. The second shot is uphill and a creek runs in front of the green. 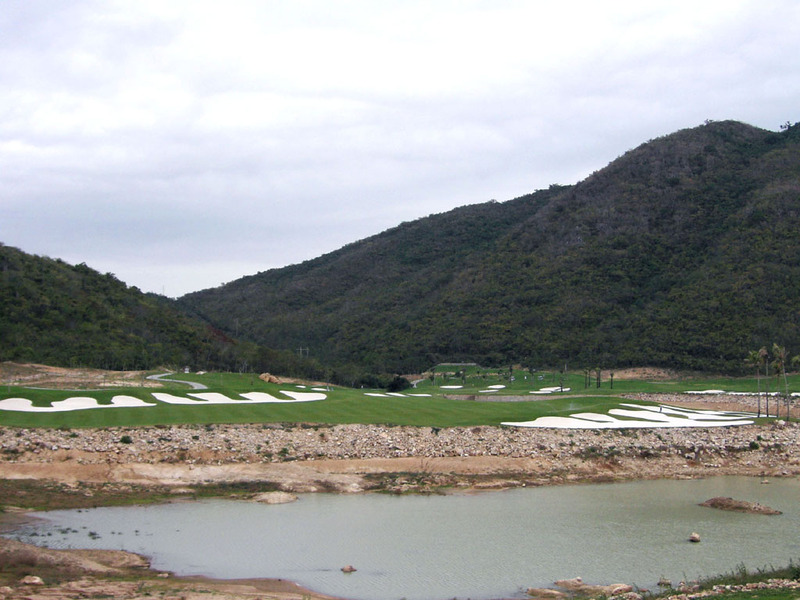 The contrast between artificial, pure white bunkers and a natural mountain lying at the back is unique. 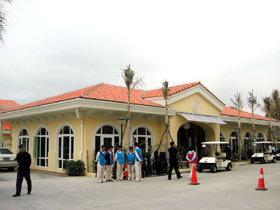 The first par 6 in China. A slight dogleg to the left. A gentle uphill and most commonly into a head wind makes this hole more than 900 yards in fact, so to hit the green in regulation, you need to drive 260 yards followed by hitting 220 yards on average with a fairway wood 3 times. 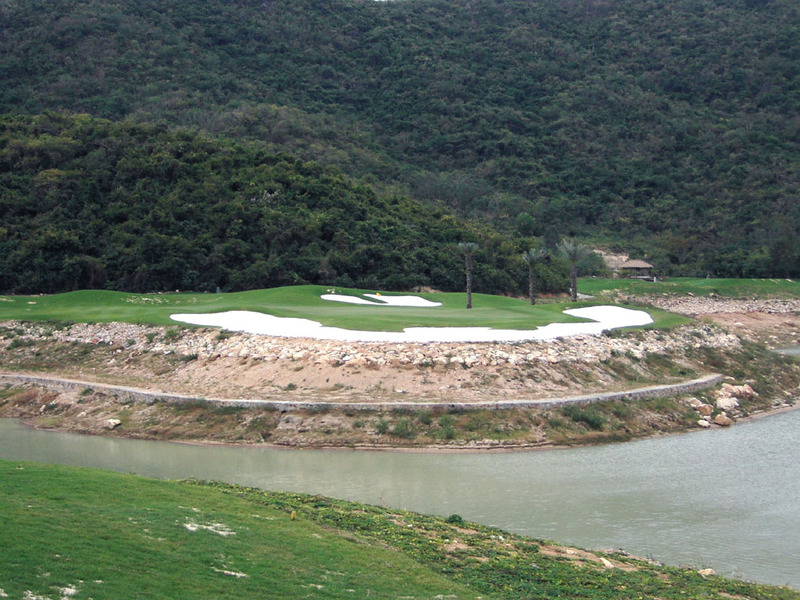 The layout isn’t great but you can experience the longest hole at this moment in China. 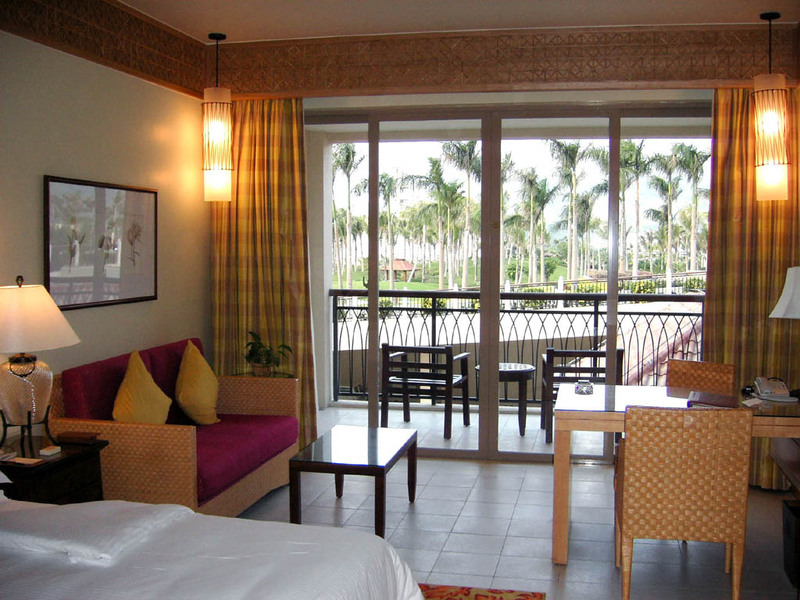 It takes 10 minutes from Sanya Beach and 30 minutes from Sanya Airport. 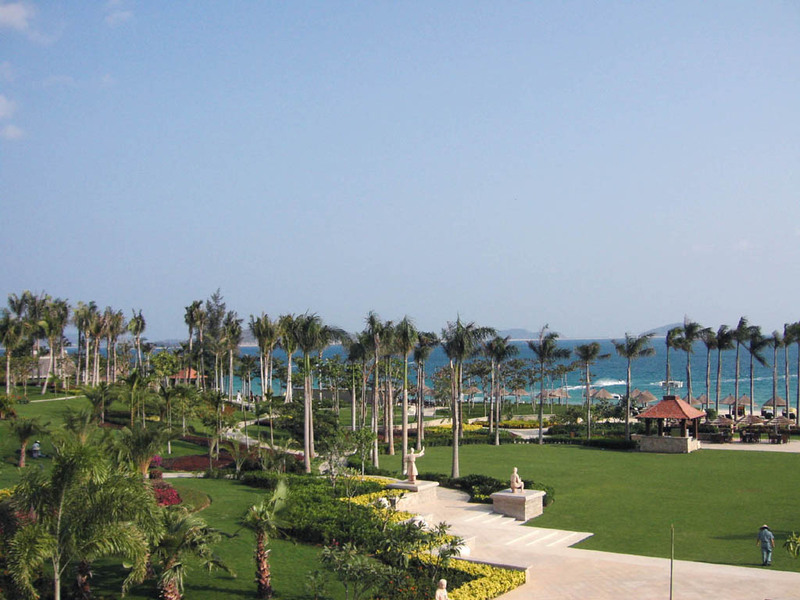 I stayed at Marriott Hotel in Sanya Beach. 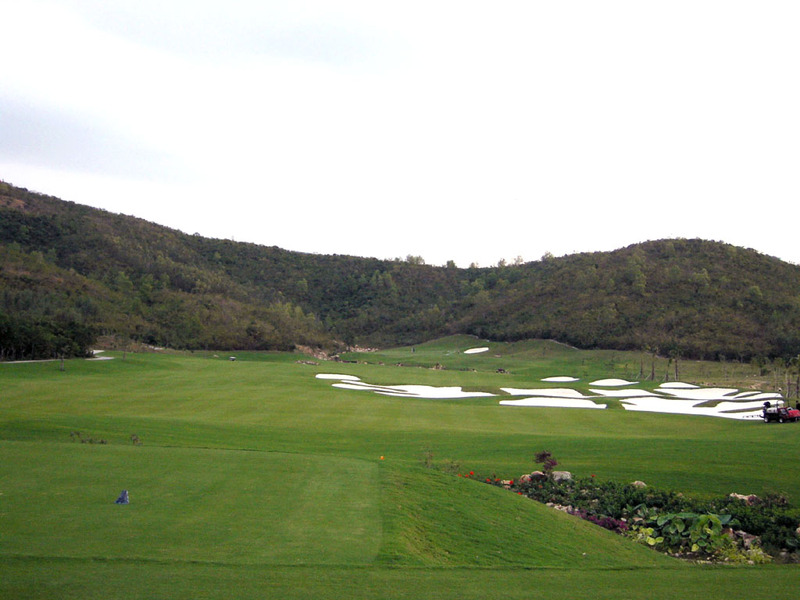 The course is very long, 7875 yards, but Jade Dragon Snow Mountain (玉龍雪山) GC in China has 8548 yards par 72. 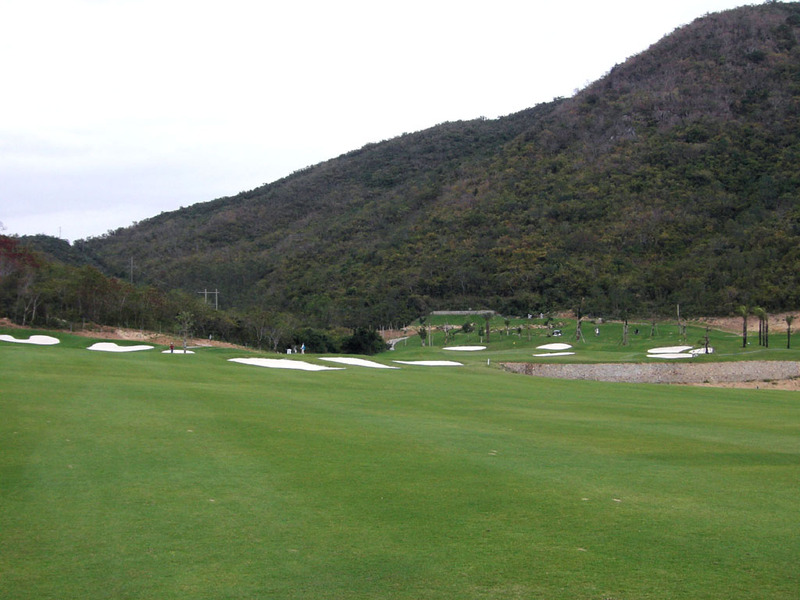 The 18th hole is only par 6 in China at this moment, but St. Andrews 2000 in Thailand has 2 very interesting par 6s. I played from the longest tees after showing the starter my single-handicap certificate. 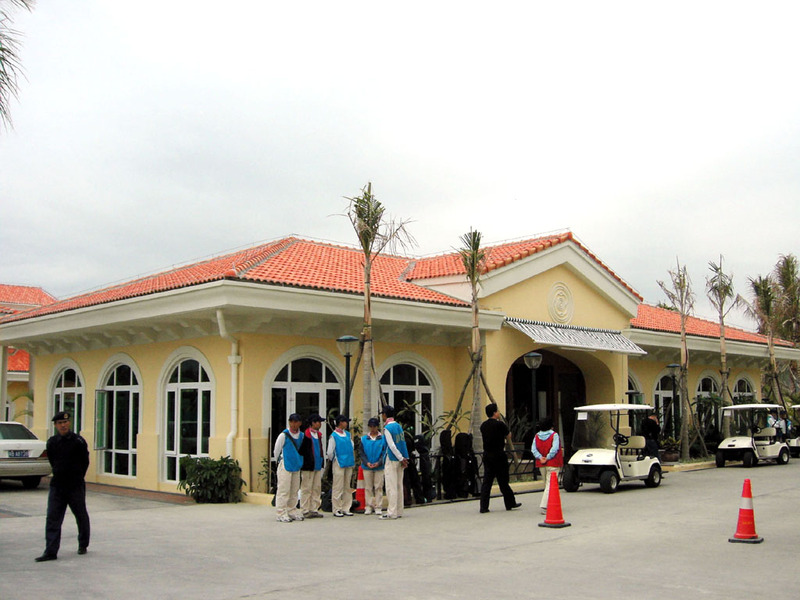 The same company owns Lotus Hill (蓮花山) GC in Guandong Province. 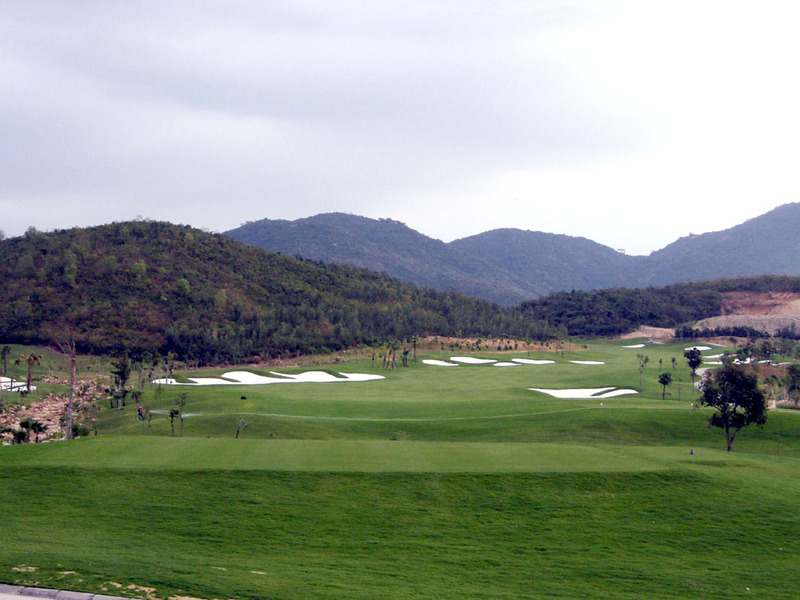 The other JMP Golf Design group designed courses in Asia are Agile (中山長江) CC – A Course, Beijing (北京) GC, Peach Garden Fontaine (佛山南海桃園楓丹) GC, Lakewood (翠湖) GC in China, Nasu Chifuriko CC, GlenOaks CC, Prestige GC, Iwate Numakunai GC in Japan and Kulim G&CC in Malaysia, Bukit Prelangi (Rainbow Hills) Resort in Indonesia and Royal Kuan-His (老翁関西) GC in Taiwan.